Crocheting is something that I truly love to do. 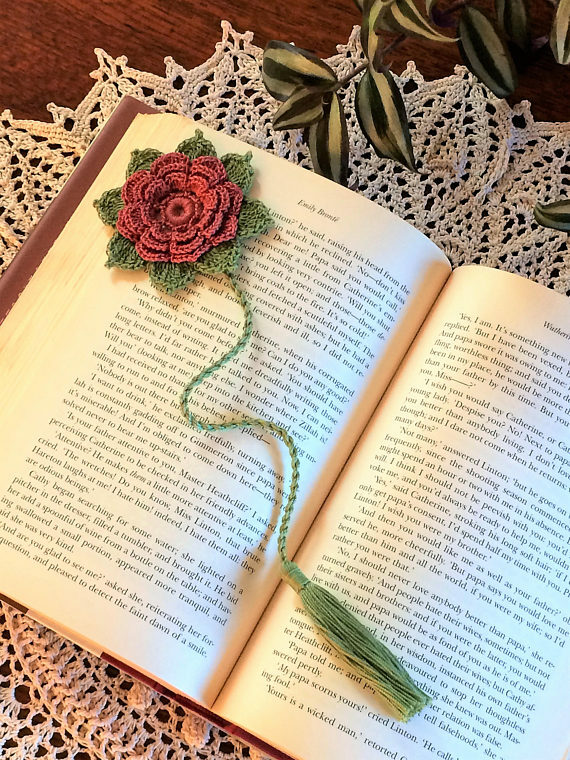 I learned how to crochet at a young age, but did not put an effort to pursue it at first due to life changes and priorities. Sending my youngest to college and being an emptynester for the school year, I now have more time to do what I … love the most - crochet. 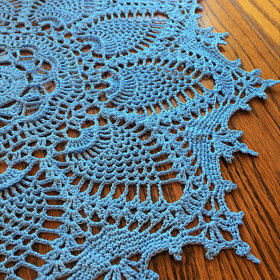 I love to crochet doilies, table toppers, table runners, hats, mittens, scarves, boot cuffs. 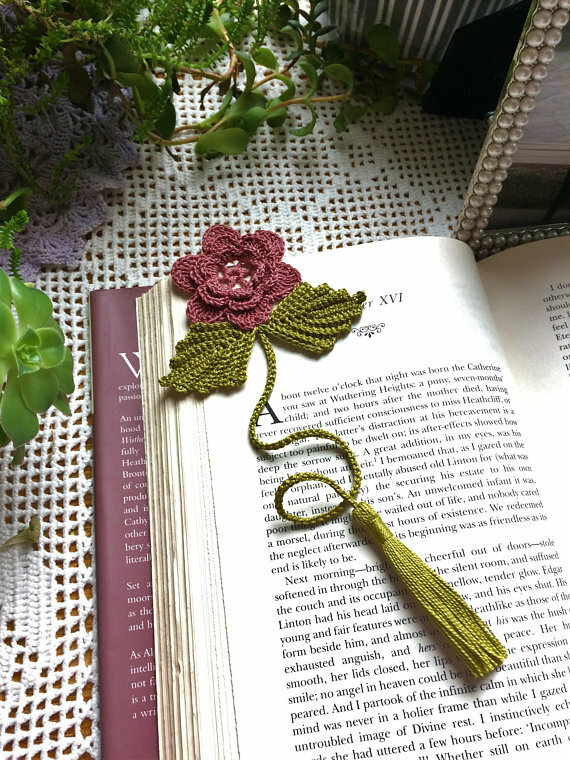 I am hoping to do more of crochet crafts in the future. I am married with two daughters. I am self-employed flower sales representative. I have an 8 year old yorkie named Brutis. My other hobbies are cross stitching and gardening. 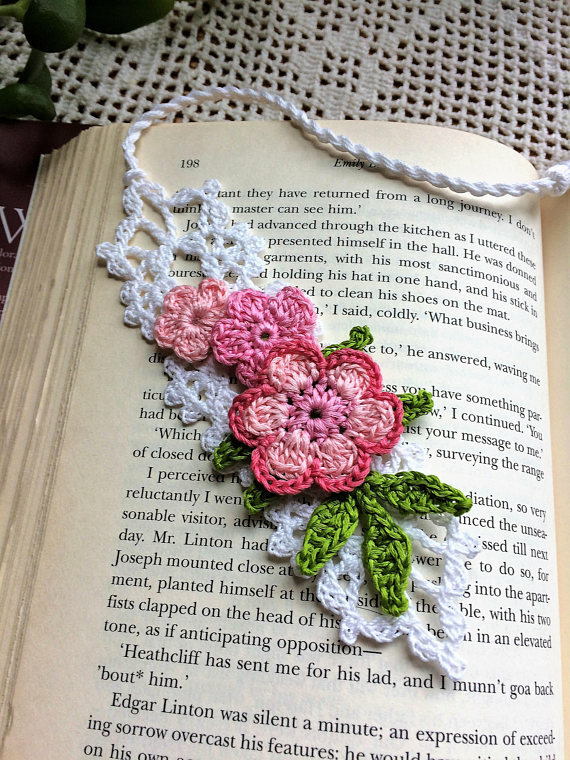 My floral doilies and bookmarks are inspired by the flowers I grow around my house. 3) Where did you learn how to crochet? 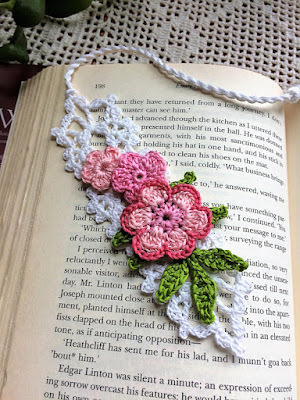 I learned basic crochet in elementary school and continued to teach myself different techniques through video tutorials. Since I work from home, I keep my supplies in my office and crochet anywhere around my house that is comfortable. My favorite author is Jane Austen. I started by making hats and scarves for family and friends. Since they all really liked what I made, they always suggested I should sell my crocheted items. It was a good side business to have when I’m not working in floral sales. 7) Your bookmarks have plenty of different shapes and designs, how did you get the idea to offer such a great range and variety? Since bookmarks take a lot less time to make than my larger doilies, I have more time to make a variety of designs while also trying new and fun patterns. 8) What are your favorite colors and how do you choose when you start a new project? I love using pastels. I base my color selection on the supplies I have and I take inspiration from my flower garden. 9) You’re constantly learning new techniques, where do you find the most fascinating ones and what’s the next thing you’re teaching yourself? 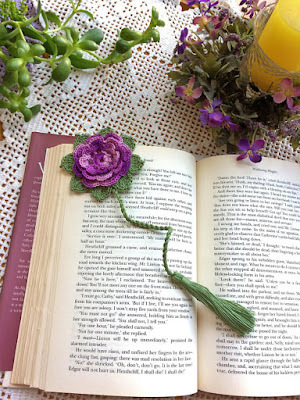 Most of the techniques I learn are from crochet patterns. Currently I’m learning about incorporating different textures into my projects. 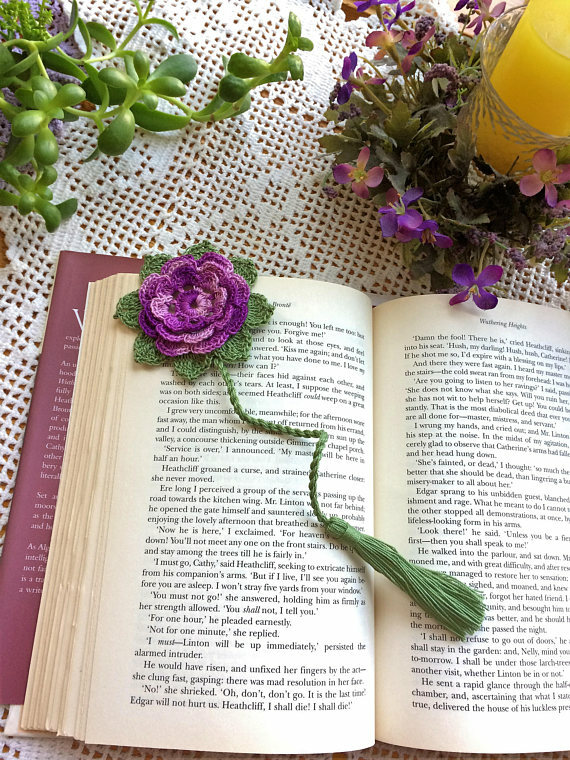 I plan to continue to crochet and grow my business. 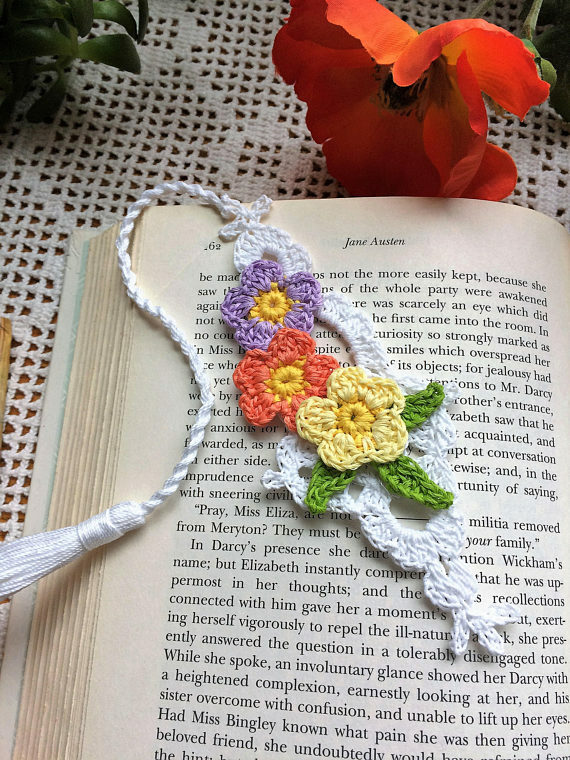 I also hope to teach crochet to the younger generation and to write and publish my own design. 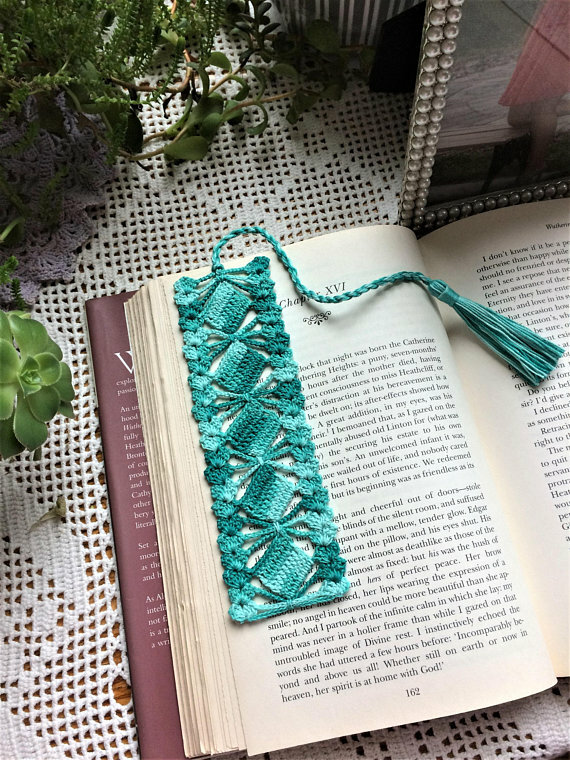 Two very lucky readers of With Love for Books will receive two crotchet bookmarks from Armi Busch. Aw, girls, you've transported me back decades! 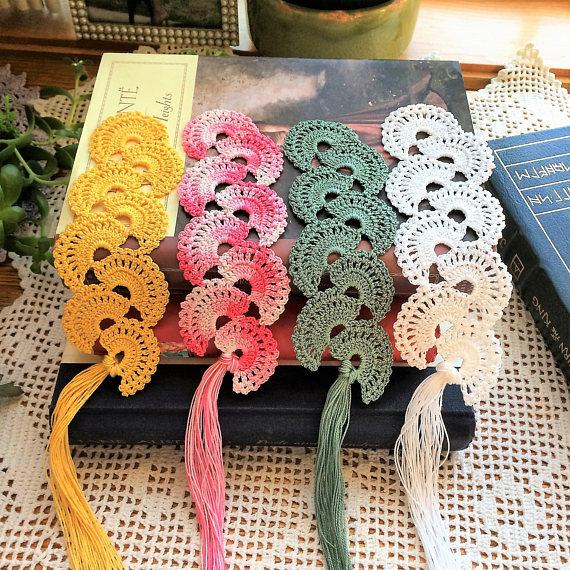 My Welsh grandmother used to crochet and make lace like this - haven't seen such beautiful ones in years! Such beautiful creations, I love them! your items are so unique and beautiful, loving the crochet bookmark - would love one of these!! Thank you so much for this great giveaway :-) So pretty creations! 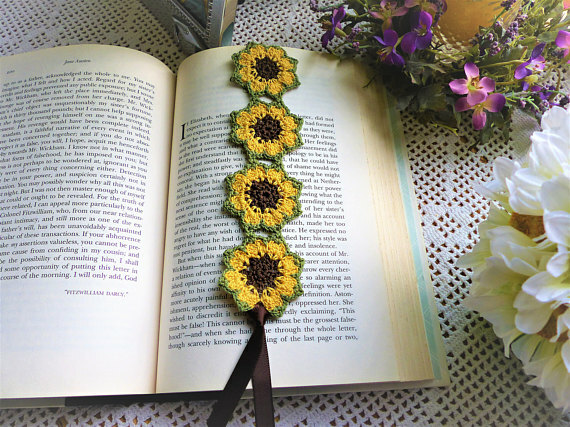 Makes me wish I could crochet. Gorgeous craftwork! I love them all. They remind me of items that my mother would crochet. Beautiful! Absolutely love your designs. I collect bookmarks and to add one of your creations would be brilliant. I just love your book markers and Owls. 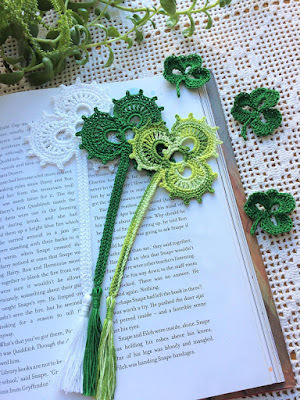 Such lovely & intricate work... outstanding! Wow, these are amazing and artistic, I love them. You are so clever and they are really unique. All your creations are very fine. 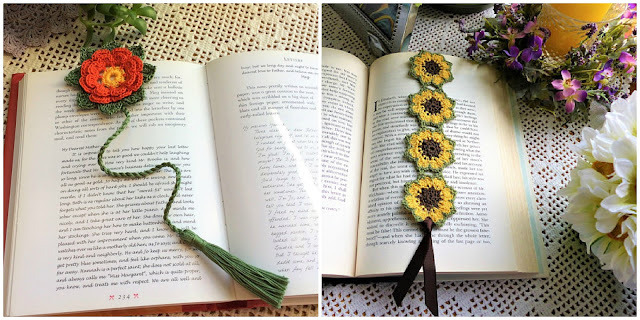 I like the Flower bookmarks a lot! I am just amazed by the intricate details and lovely designs of your products! It really is wonderful artwork!